The O'Hanlon Electric Motorsport "Voltron Evo" soon after final assembly, but before track testing. I thought I might start a bit of a build log here on the main website about my bike, Voltron Evo. I have one on the old AEVA forum, but it's time someone took the initiative of migrating with the main website. I will continue to update the longest running build thread on Endless-sphere.com but this will be a good resource for AEVA members. How far can you go on 1.5 megajoules? The Perth EV challenge is a chance for budding West Australian EV racing enthusiasts to build and compete in one of the longest running grass roots technical comps in the state. With a battery capacity of 432 watt-hours, competitors are required to go as far as they can, as fast as they can, in an hour. Electric power got Carlin Dunne to the top faster than the world’s best internal combustion powered bikes at the renowned Pikes Peak International Hill Climb in Colorado Springs, Co on June 30th. 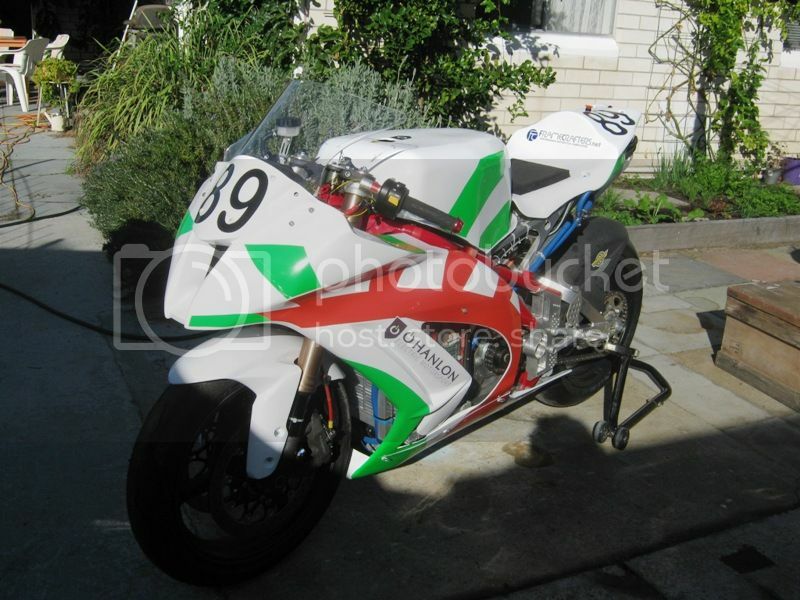 Carlins Dunne’s ‘Lightning’ Motorcycle was the fastest of the 82 motorcycles entered and beat all but the 8 fastest cars with a time of 10:00.7. Powered by renewable energy, it did not just win but was quicker than the closest ICE powered bike by almost 21 seconds.